Advanced Composite Materials, Design for Manufacture, Mechatronics system design, Design Optimization, Modelling and Simulation. 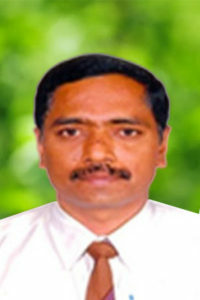 He has authored research papers for reputed International Journals such as International Journal of Manufacturing Engineering, International Journal of Materials Science, International Journal for Manufacturing Technology and Research, International Journal for Simulation and Multidisciplinary Design Optimization, Journal of the Institution of Engineers: Aerospace Engineering etc. His research paper Optimal Design and Analysis of Automotive Composite Drive shafts own best paper award in ISRS-2004, Indian Institute of Technology, Chennai. Currently, he is on the editorial board of three International Journals and he is working on Government of India funded two research projects on Micro Air Vehicles.